There is a demonstrable benefit to being able to measure the number of calls being made and received on any given day, but it would be ideal if you could also get an idea as to what outcomes came from each of those calls. 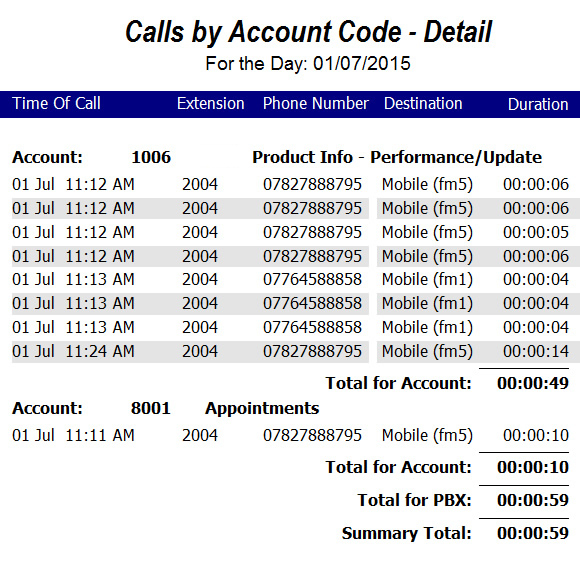 How many outbound calls resulted in appointments being made? How many inbound calls resulted in sales? How many callers were asking for information that should have been published on the company website? In the past you could have printed out tally charts for your staff to complete, but this is the 21st century and you may get some quizzical looks if you handed sheets out to staff. You could look at CRM records but this can be long winded and inefficient. Office Solutions takes the principle of stamping calls with account codes, much like attorneys do when they want to bill clients for calls made and received, and swaps or associates individual client codes for call outcomes. These outcomes can then be recorded using flexible function keys on a staff members phone or by installing a small application on their PC/workstation allowing them to search for an outcome and stamp the call. 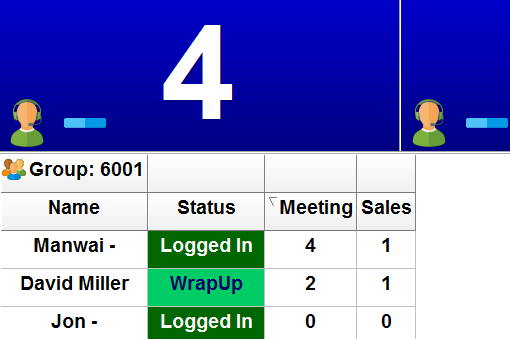 Call outcomes can be reported on in both summary and detailed format, whilst wallboards (flat screen displays) can display live outcome counts for each extension user. 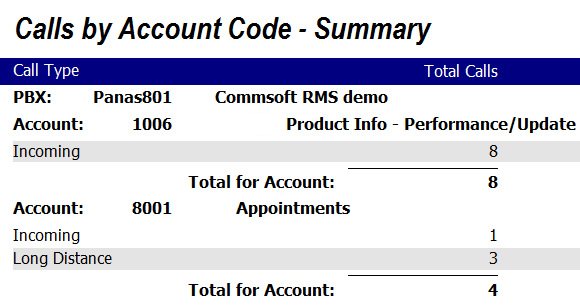 A call outcome can be stamped during the call using either flexible feature keys on the phone or by using the ‘Account’ key function* shown in the display during call followed by the outcome code. *This feature only available on certain telephone systems. 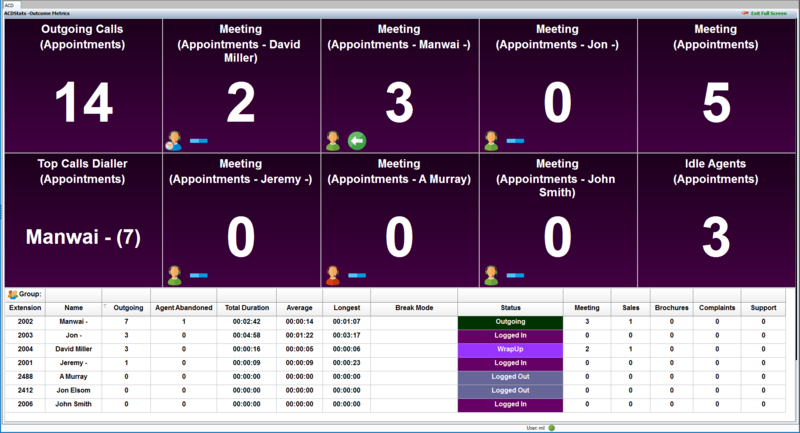 This application can be installed onto users PC’s/workstations allowing them to search for an outcome then stamp that outcome to the call. Click on the drop-down then select an outcome or start typing to jump to outcomes starting with that letter. Clicking on Extend/Shrink adjusts the length of the drop-down. 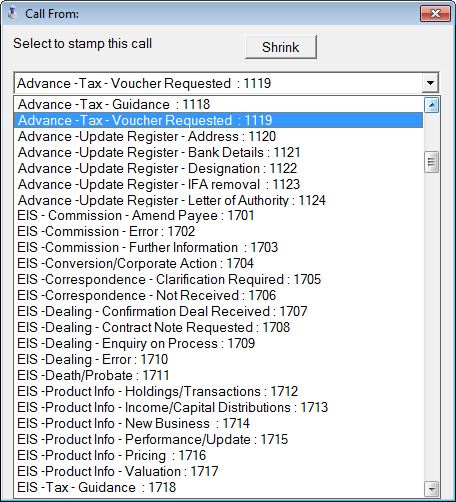 To select a call outcome, simply click on Stamp before the end of the call.